More and more families are choosing to keep their loved ones at home. No longer comfortable forcing their aging parents to move out of their homes and overwhelmed by the responsibility of providing care themselves, families around the country are opting for professional home care services. Hiring the right home care company can be a challenge, especially in Arizona. 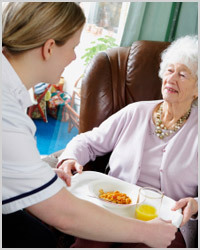 Affordable Home Care Solutions has been Arizona’s #1 Home Care Company for 18 Years & Counting. We understand that every individual's needs are unique, and that is why Linda L. Esrick RN, BSN, Founder and President, personally assesses every new clients needs and develops an RN Plan of Care. After your loved one comes on service, Linda will continue to manage their care and visit them on a regular basis. Our commitment to safety and service ensures that someone will always be there to answer your questions and to handle an emergency situation. Trusting someone to care for your loved one is a big decision. Why not choose the best? At Affordable Home Care Solutions, we have the "Experience You Can Trust" and we have been “Arizona’s #1 Home Care Company For18 Years & Counting”. Your loved one’s Care Matters to us.